The Brazilian government announced that they spent $17 billion dollars on infrastructure and stadiums for this tournament. FIFA announced that World Cup generates $4 billion dollars in television rights and sponsorship. And they cannot pay all the players? They cannot ensure that some of the people who are actually putting on the show get paid properly? This is the key question to all these issues around the allegations about Cameroon players fixing. Ever since Cameroon first qualified for a World Cup in 1982 there have been allegations about some of their players selling games. Italian journalists even wrote a book on their investigation to Cameroon to find out the truth. 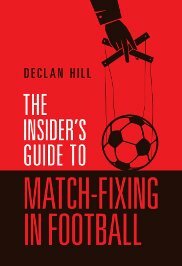 In the 1998 World Cup, there were stories coming from the English bookmakers Victor Chandler that their Asian division had been hit by “bribery” of a game featuring Cameroon. In the fixing circle in Singapore and Malaysia there are constant wild stories and fanciful rumours about Cameroon. What all these stories have in common is that the Cameroon players are not paid properly by their national football association. We could stop all the tales, all the controversies, all the alleged scandals at this World Cup in one minute: pay the players. Every player (and referee) at the World Cup should receive a minimum salary paid directly to their bank accounts by FIFA. Fifty-thousand dollars just for playing. Thirty-five thousand dollars for scoring a goal: twenty-five thousand for setting-up a goal (“an assist”): if a goalkeeper keeps a clean-sheet during regulation time he earns one-hundred thousand dollars: his defenders twenty-five thousand each. There are fans who say that this would cost a lot of money. Compared to who? The shady developers and construction companies that cost their own country so much money? FIFA executives? The national football officials who now, some of the time, pocket the players’ salaries? This is the biggest sporting tournament in the world in the year 2014. It is ridiculous that we still have the spectacle of players going on strike or demanding payment in cash. This is the open door for corruption, until FIFA closes it, expect more controversy. Part of my emotions during this World Cup have been with Iraqi friends as the ISIL militants run amok. • It is no accident that the attack on Mosul began on the same day as the start of the World Cup. The ancient Greeks used to suspend warfare during their Olympic Games. In our era, it is common strategic policy to time attacks (think Russian incursion into Georgia at the Beijing Olympics) to the start of these major sporting tournaments. • Where are the tribes? I do not believe a bunch of nutbars like ISIL could pee in the Sunni heartland without support of the local tribes. It is Highland Scotland in the 1700s. For power, don’t watch all that Jihad stuff on the Internet. Watch what the local leaders of the tribes around Tikrit are doing. They outnumber the ISIL by several factors. • Iraq is as flat as six-thousand football pitches put end to end. Taking the ground between Mosul and Ramadi is like a three-hundred-kilometre stroll across a front-lawn. Attacking a city like Baghdad or the hill country near Sulaymaniyah is a different proposition. Who is Wilson Raj Perumal? Much of the controversy around the Cameroon team at the World Cup concerns a Der Spiegel story where it is claimed that Perumal knew the result of their game against Croatia (4-0) and that there would be a red-card in the first-half, before the game started. His media handlers at Invisible Dog – an Italian investigative journalism website – have subsequently stated that Perumal did not say these things until after the game and that besides he did not know he was being taped by the Der Spiegel journalist. Der Spiegel has retorted, “Sauerkraut!” and have stood by their original story. FIFA has said that there is still “No evidence” that a fix occurred in the match. The man at the centre of the controversy is a fascinating fellow. If you get a chance, pick up his book – Kelong Kings. There have been a series of books about the fixing world in the last few months. Most of these books pedal that dreadful Interpol/ICSS/FIFA agenda and are written by pet monkeys pretending to be journalists. Wilson Raj Perumal’s book, written with the Invisible Dog people, is good. The details are often faulty, but the essence is true (I will do a column of reviews of all the books in the next few weeks). First, the important stuff: Perumal was not King of the Kelong boys. He is not a Godfather. Nor was he the pre-eminent fixer of the Singaporean gang. He was a runner and associate of the gang. He was never the leader. There is a whole agenda going on in the media to pretend that he was the biggest match-fixer in the world. This is untrue. However, Perumal does have cojones the size of grapefruit. He is a man who walked into national football associations around the world and pitched fixed matches. He was often successful and he was never betrayed by the soccer officials that he bribed. Rather he was turned over to the Finnish authorities by his fellow-gang members. They betrayed him because Perumal acted like a goof. This is Canadian prison talk for a man who just cannot do a deal without screwing someone over. Buy a car from a goof: pay the money and before you can pick it up, he will take off a wheel. Why? Just because. It is a sickness – goofs just cannot imagine a deal without someone being screwed over. This perspective comes from Wilson Raj Perumal’s own autobiography which is a litany of his complaints about various other members of the gang: someone betraying him or him betraying someone else. They seem like they could never do a deal without someone being betrayed, or the money being stolen or various lies being told to each other. In my opinion, Perumal acted like a goof, because he was at the time a degenerate gambler. A man who helped fix international friendly matches just before the last World Cup and then lost most of his money with stupid bets on non-fixed matches. 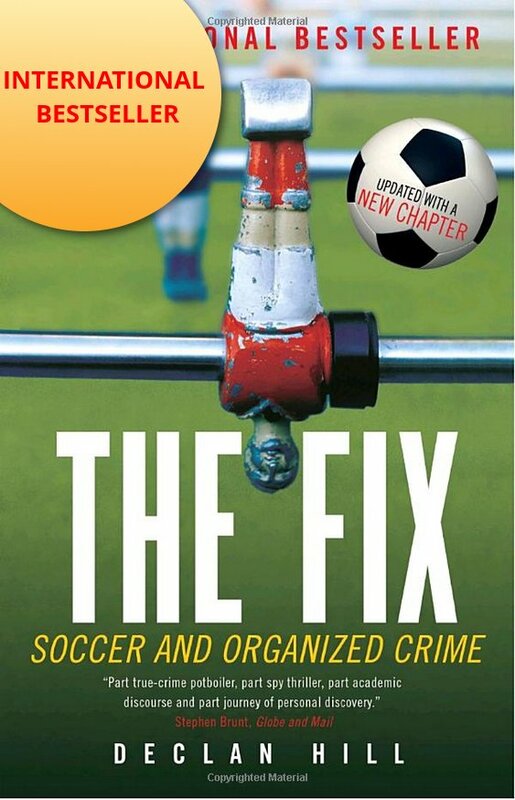 What is very clear is that fixers will succeed at big international matches, unless FIFA get serious about ensuring that all the players are properly paid. Here is the reprint of an article I wrote in the spring of 2004, on Sheik Anwar al-Asi. Read his analysis of the Americans and weep. What is Wrong With the Americans? Academics who specialize in Iraq are fond of the phrase “the shadow society”. The theory says there is a small group of influential families who rule Iraq socially and economically regardless of who rules politically. They are a tight knit class that has survived the Ottoman and British Empires, the Hashemite monarchy and the various dictators who have come in their place. Sheikh Anwar al-Asi is a prominent member of the “shadow society”. He is known as the “Emir of the Arabs”. al-Asi is one of the top men in a hierarchical pyramid of tribes that gives allegiance to one leader above a large collection of families, clans and larger tribal groupings. He is the perfect man to try and get an answer to the question – why is the American presence in Iraq failing? Al-Asi’s house is sixty kilometers north east of Tikrit in the middle of the Sunni triangle. The countryside looks like nothing has changed in a thousand years. In the semi-desert plain herds of sheep still graze: papyrus reeds choke every fresh water pond: and palm trees dot the horizon. Beside the road are the remains of a downed U.S. missile. Inside the house is a long reception room, where, like Jesus’s dining hall, people are seated depending on their status. Around the coffee pot and door are the servants: in the middle of the hall the petitioners: and towards the end the Sheikh and his counselors. After a lunch served in traditional style – big common plates of meat and rice all eaten with the hands – the Sheikh gets down to business. Al-Asi describes Iraqis like children outside a candy store gazing in the window anxious and envious but unable to touch any of the candy. He is also dismissive of the claims that if the Americans were to leave there would be civil war. It is an opinion you hear often in this northern region of Iraq. Many people in the Arab community were supporters – either tacitly or overtly – of Saddam Hussein. But now even people who may not have supported the last regime wonder why the Americans have come. Jumillah Hussein lives in Kirkuk, her brother was blown up by an Islamic suicide bomber but even she criticizes the American presence here. It is a perplexing question. Why has the American Army performed so inadequately in Iraq? Why has the strongest army in the world been unable to control groups of badly armed militias who have no heavy artillery, no anti-tank weapons and no body armour? It is hard not to agree. In April and May of last year – anything and everything that could be stolen, was stolen. Offices, factories, stores were pillaged. The roads were ripped up so that looters could steal the cooper inside the phone lines. Houses were destroyed so looters could take the bricks.) These men have fought in dozens of different conflicts around the world. It would be difficult to find a group so experienced in fighting wars. So it is a dangerous sign when they feel that the American Army has fought this particular war all-wrong. Jean-Paul Sartre wrote of the “other”. (L’autre c’est l’enfer.”) Or the creation of an enemy that is something alien and utterly distinct from oneself. The Americans, strangely, do that. Every Iraqi, both friend and foe, are “the other”. It is partly understandable. To protect themselves, the Americans live in fortified compounds. Inside these compounds they watch Fox TV, follow basketball play offs and lift weights. They are islands of mini-America. But in the long run this creation of the “other” is the American army’s greatest weakness. Iraq is a divided society. There are myriads of factions, groups and social castes. Fallujah is a tribal city. Kill one person there, and three hundred other members of their tribe are duty bound to try and kill you. The American forces simply do not seem to have understood the reality of Iraq and so they shuttle around from armed compound to armed compound unaware of the conditions around them. A small example of this ignorance. It is popular to blame any military setback on the lack of weapons or defense systems. Casualties in a riot? Better body armour. Troops attacked in roadside ambush? Heavy armour on the Humvees. However, a solution that would go far further in reducing animosity towards the American troops would be the introduction of a slip-on shoe. The floors of most Middle Eastern homes are considered special. Visitors take off their shoes outside the door. Once inside they walk carefully and never display the soles of their feet. Going around with American troops on house searches is to see them always entering houses in heavy military boots laced up to the knees. It is the rough equivalent of mooning your host. Imagine if Iraqi troops were on civil defense duties in the middle of St. Louis, Missouri and every time they entered a house they dropped their trousers to the owner of the house. How can they be popular if they continue to do that? It is not as if the Americans could not develop a shoe that could serve their troops well, but not insult their hosts. This is, after all, the military that has developed “smart bombs”, precision missiles and meals ready to eat. But until they become more aware of the culture that surrounds them, they will be forever at odds with the Iraqis. Note: On June 22, 2014 Sheikh Anwar al-Asi was reported as moving to Kirkuk after the ISIL attacked his property. If they annoy men like al-Asi, it will go badly for ISIL.